Each day the news brings headlines reminding just how difficult it is to govern a country as large and complex as Canada. Recently, the stories were about demonstrators closing the access roads to a pipeline construction sight in northern British Columbia. This particular pipeline, unlike other recent projects, had the blessing of both the federal and provincial governments as well as the elected band councils of the First Nations through which the pipeline was to pass. But it did not have the approval of the various hereditary chiefs of the First Nation; they and their supporters have erected roadblocks. · the TransMountain Pipeline, which the Government of Canada ended up buying in order to try to ensure its success, only to see the project bogged down by protests and court actions in the Lower Mainland of British Columbia. Were things easier in Sir John A. Macdonald’s day? No doubt they were, by some measures. The building of 19th century infrastructure, including the Canadian Pacific Railway, faced many challenges – many to do with the raising of capital and the corruption that often resulted when such large sums of money swirled around the political and business cesspool. 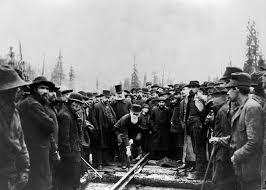 Sir John A.’s first federal government was brought down by a railway scandal in 1873, but returned to see the railway completed by 1885. Completed, in fact, just in time to play a pivotal logistics role in suppressing one the most serious resistance to federal authority Canada has yet seen, Riel’s Métis rebellion and the uprising of the Cree under Big Bear and Poundmaker. Note that this uprising was not in protest to a capital project per se. In fact, the First Nations of the prairie West had already ceded the lands over which the railway was built. This was not the case in British Columbia – the epicentre of so much of today’s anti-pipeline resistance. 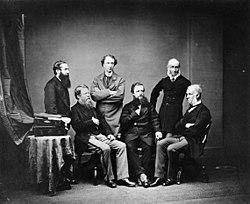 The entry of British Columbia into Confederation in 1871 was the major impetus for the building of the railway, but British Columbia was one province where the white “settlers” or “colonists,” as today’s protesters refer to them, never got around to signing treaties with the indigenous peoples. We continue to debate Macdonald’s place in our history, and the justice of the numbered treaties that enabled settlement on the prairies. Did Macdonald and his government purposely use starvation as a weapon to force once-mighty peoples to capitulate? But the treaties did create a climate of certainty from which economic development and social cohesion could proceed. Stephen Buffalo of the Indian Resource Council of Canada, for one, has been a strong advocate for First Nations working with resource companies to ensure that economic benefits come to local communities. Resource development opens a debate among indigenous peoples themselves about the respective places of traditional practices and modern economic opportunity, including the current dispute between the hereditary and elected chiefs of the Wet’suwet’en First Nation. 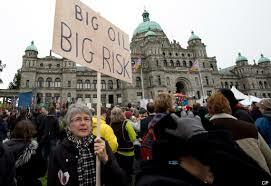 In British Columbia, in the absence of treaties, the courts have had to weigh in. In the 1997 Delbzmuukw case, the Supreme Court gave the hereditary chiefs the upper hand over matters involving Aboriginal lands and title. Irish-Canadian journalist Terry Glavin questions whether, under the current system and with the current absence of political will, can a capital project ever be built again in Canada? The situation in Canada in 2019 is complex and divisive. 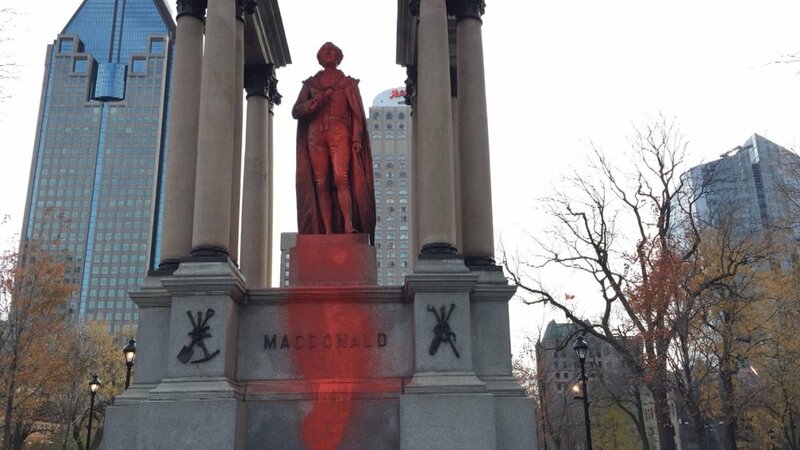 What it requires, perhaps, is the sagacity and tactics of the man who’s statue they keep defacing in Montreal and have removed from the city hall in Victoria. 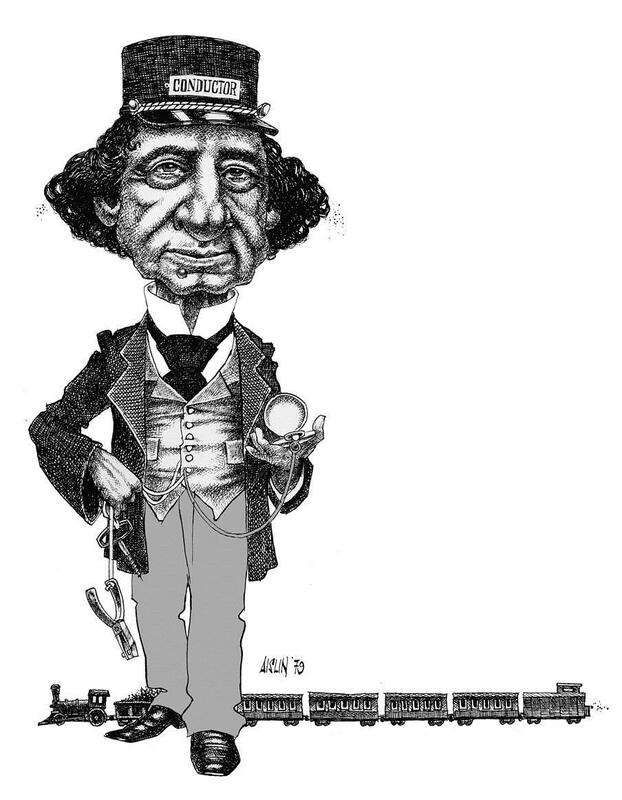 Sir John A. Macdonald’s challenges may have been different but they were equally difficult. In the dawn of the 1860s, few would have predicted what he would achieve in the next 30 years. He was leader of a loose coalition of politicians from Canada East (Quebec) and Canada West (Ontario) in a tooth-and-nail fight with opponents who were not able to unite Quebec and Ontario factions. But in the end, it was his adversaries, the Liberals under George Brown, who first proposed the vision of a transcontinental nation. He was able to work with them, he led the Confederation debates, he is the principal architect of the nation that resulted. 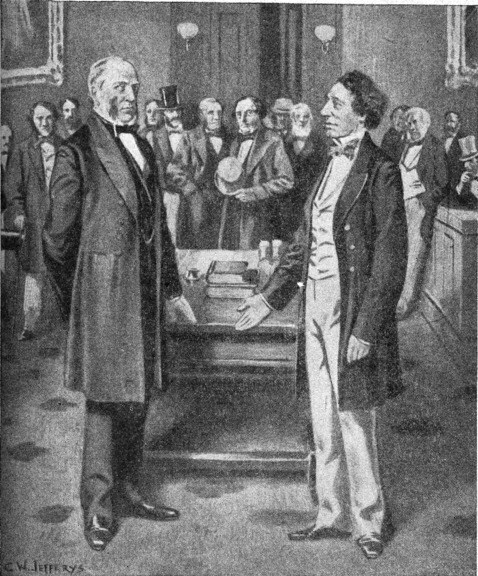 He had the capacity to work with able men – upon whose talents he relied and championed: not just Brown and his idea of a confederation of British North America, but financial geniuses like A.T. Galt; champions of minority rights like D’Arcy McGee; visionaries of Western expansion like William McDougall; and fervent defenders of the French fact in Canada like George Cartier. He was the builder of a nation because he was a leader of men. He was firm and decisive in foreign policy – especially the issue that mattered most in his day as in ours: the relationship with the United States. The American Civil War provided much of the impetus for Confederation, and many of the elements that Macdonald built into our constitution were responses to the factionalism that had split the powerful republic. Throughout his political career, the big question of Macdonald as well as for Canada as a whole was how to avoid becoming swallowed up by the emerging powerhouse to the south. 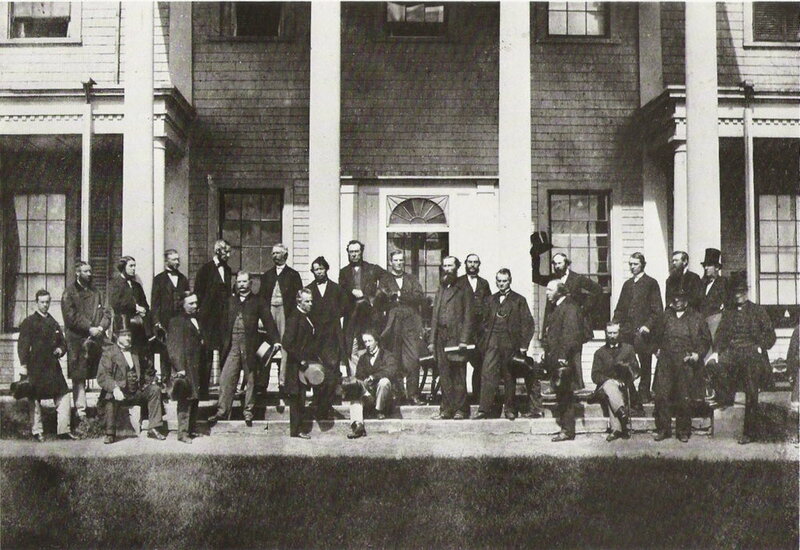 The CPR and the NWMP are two of the responses most familiar to us today; another was the Washington Treaty of 1871, where Macdonald proved his mettle as an international diplomat. We can surmise what a man with Macdonald’s intelligence, charm and wily pragmatism might do with the current pipeline issues. He was not a man of ideology and visions. His strength came from his ability to work with others, bring out the best in others, and take the many small steps that it takes to cover a vast distance over time. And today, on his birthday, we can use his example.